Creating your own private healthcare directory of your Favourite products and services has never been easier. This becomes your very own private portal for quick contact and location details of your Favourite healthcare listings. Your Favourite listing will be stored in one of 10 healthcare categories keeping your Favourites organised for quick reference. Your private portal is user friendly giving you a stream line user experience. Favourites are convenient while at your medical appointment. Allowing you to update your healthcare provider with services and products you engage with. 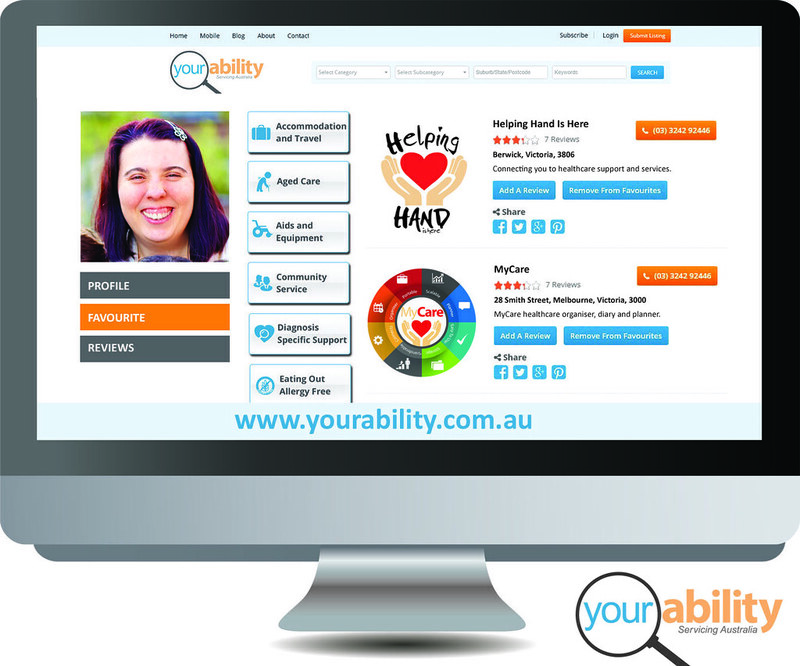 A Favourite is a healthcare listing on Your Ability you want to store for quick reference. Allowing you to revisit the listing to quickly and easily find the provider details. How do I save a Favourite listing? Create a free Your Ability personal account. This becomes your very own private healthcare portal for quick reference and easy contact. Save your Favourite listing by clicking ‘Favourites’ when viewing each listing. On your profile, you can find your Favourites on the left hand side below the tab for your Profile information. Each Favourite is saved under one of ten categories to be easily found. Allowing every individual the chance to Realise Your Full Potential.